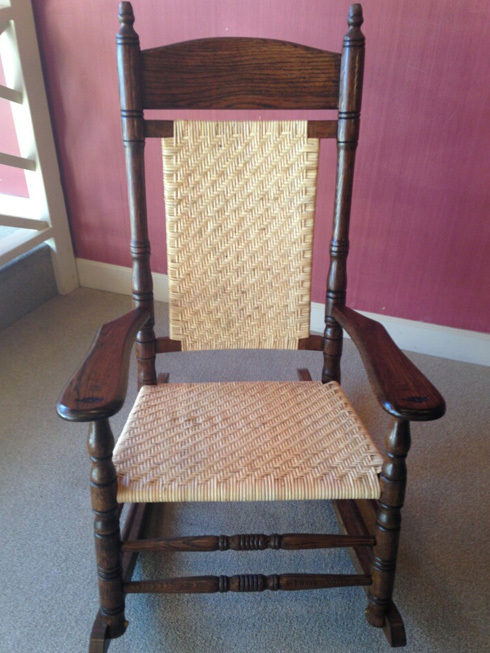 The Brumby Chair Company offers rocker restoration whether they are to spruce up a chair a few years old, or to bring back to life a family hierloom over a century old. 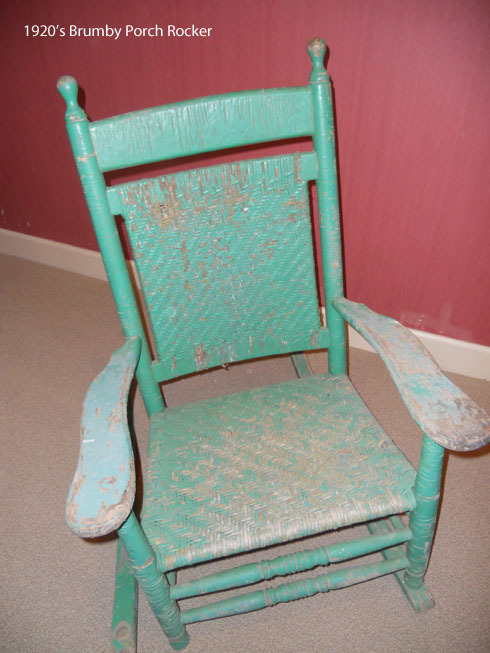 Estimates for restoration and identification of rockers is of no cost or obligation and takes only a few minutes. 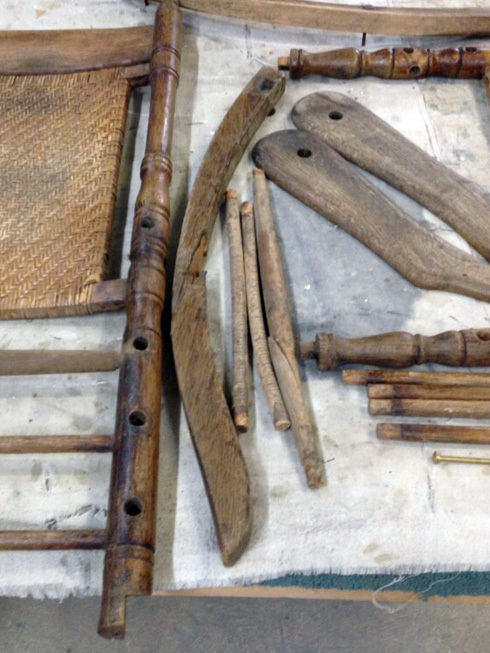 Typical restoration includes all minor repairs, surface preparation for a new finish, the addition of a new finish, and re-caning of the seat and back. 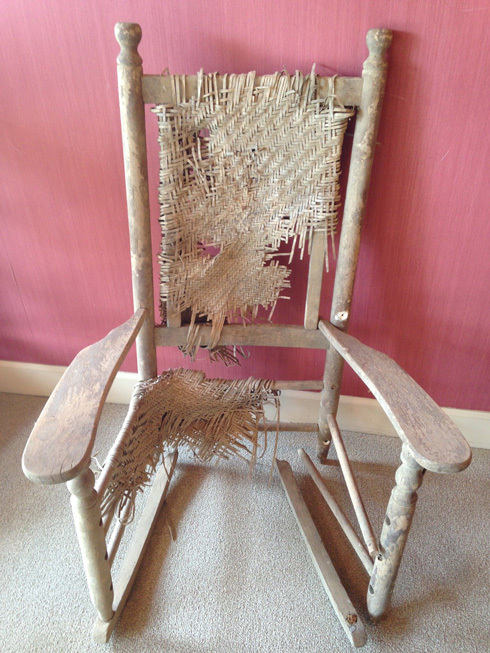 All materials used in restoration are the same materials used in creation of the new products and are the same as they have been for generations making repairs and restoration accurate and authentic. Broken pieces or missing pieces may be of additional cost to the process. In such cases this will be brought to your attention before we take on the project so there are no surprises. 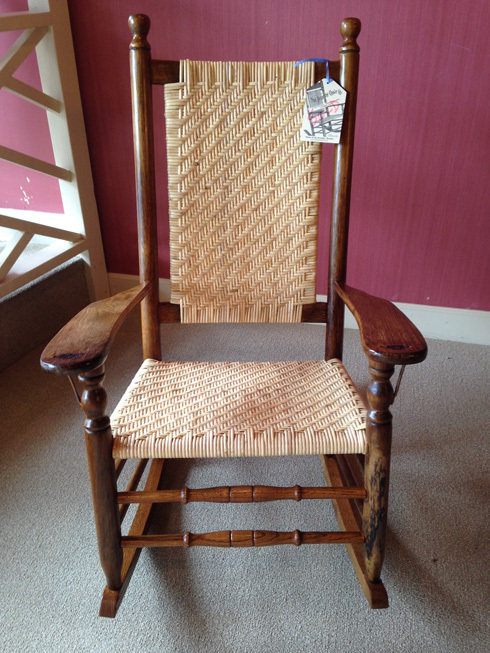 There is no cost for identification, so if you think it might be a Brumby Rocker, let us confirm it! 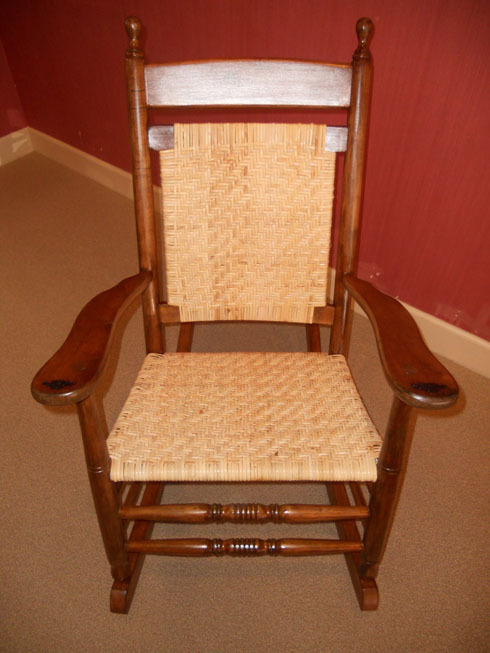 We also appreciate the importance of family heirlooms, and we are willing to work with clients who have chairs not manufactured by Brumby Chair Company to preserve your family's heritage.